Today I have another two blues for you, the first being Frost Bite by China Glaze (quite fitting for the weather that we are having at the moment). I only put two coats on and you can see my visible nail line if you look close enough. In reality, the free edges of my nails aren't that long, they just look it because my nail bed is long. Oh, and yes, the last of the acrylic damage is STILL on my ring finger nail. When I trim them next, I promise it will be gone. Finally! 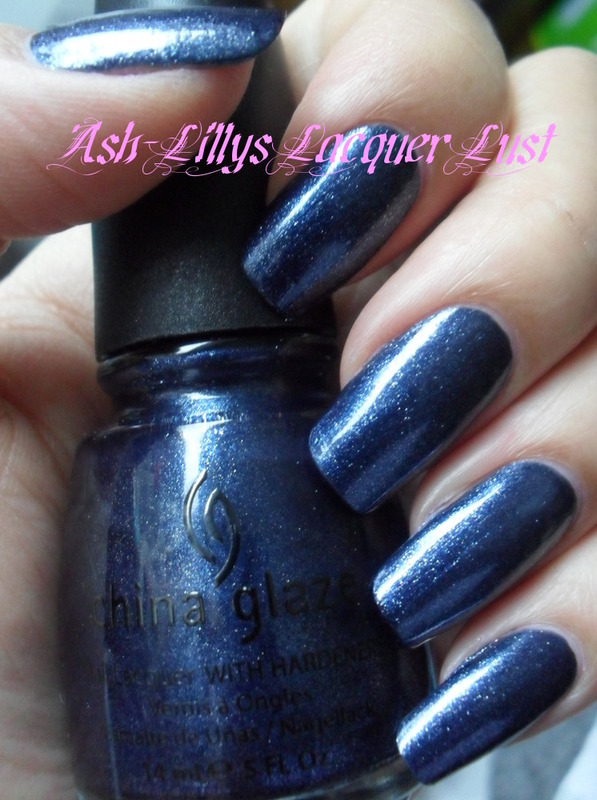 The second of the blues is Midnight Mission, also by China Glaze. This one has micro glitter particles in it. Lush! This was three coats. Totally loving this. That's all for today. Take care! Frost bite is so brite and gorgeous! Midnight mission wow! it's stunning!